Reviewing books about food and cooking is an interesting endeavor. Sometimes you are excited about a book initially, but the more you read, the more your energy wanes. Other times, a book may surprise you. Each page only serves to increase your appetite for what the author has in store (and what you might go make for dinner)! So it was with Mastering Stocks and Broths. Although the book addresses a topic with which I am already quite familiar, it became the most interesting and enjoyable read of 2017 thus far. Four hundred pages long, at first I thought, “How could someone write so much about broths and stock?” I was pleasantly surprised, and for good reason; the word “mastering” in the title is entirely apt. Mamane moves deftly back and forth between history, science and culinary craft. The book is roughly divided into two parts. The first, shorter part explores what stock is, in all its historical and culinary diversity and glory. The second part, which represents about three-quarters of the contents, is dedicated to the application of culinary skills, covering not just the making of a multitude of broths and stocks, but also presenting a wide variety of recipes for all occasions. Almost no animal or vegetable seems to go unnoticed in the recipe section. I was delighted to see often overlooked things like rabbit or rarer vegetables like leeks and ramps make the menu. The recipe section also includes (and speaks in positive terms) of raw milk and real dairy products! Although the application part includes recipes and techniques by the dozens and scores, marking Mastering as a cookbook as much as anything else, the book goes even further. In keeping with its “no-waste” subtitle, the book devotes an entire section to bone meal, dog food and charcoal. As a homesteader and farmer, I can’t help but appreciate this incredibly important and often overlooked subject. Even when a stock is done simmering, its bones and other contents are not done nourishing us. They should be returned to the soil, not sent to the sink garbage disposal or waste dump. While few authors ever get this far, Mamane reminds us to close the loop, turning refuse into riches that will spring forth from the soil, nourishing the plants and animals that provide the next batch of nutritious abundance. It is the marriage of the historical, theoretical and practical that makes Mastering so much fun to read. You can be on page thirteen, skip to a matching recipe much later in the book and come back after an enjoyable meal to begin your learning journey afresh. The book also illustrates stock’s true staying power and importance, not only nutritionally but traditionally, showing why stock forms the “base” for so many dishes and cuisines. I learned about cooking techniques that I was previously unfamiliar with, and ways to incorporate stock that I never would have envisioned (along with matching recipes later in the book). While the book is large, its organization and approach are easy to follow. It is full of short, helpful sidebars that summarize new information in easy-to-read and easy-to-remember formats. The recipes are well organized, neatly laid out and reader-friendly. Scattered throughout the book (though mainly in the latter half), the recipes also allow the reader to experience a few hundred years of cuisine, from making the original “portable soup” and “pemmican” from centuries ago to more modern dishes from across the globe. Mamane’s emphasis on the importance of using high-quality ingredients—for ecological, ethical and edible reasons—is refreshing. She is able to show why obtaining good meat and bones matters, starting from the fresh pastures that feed the animals to the final bites of a meal. 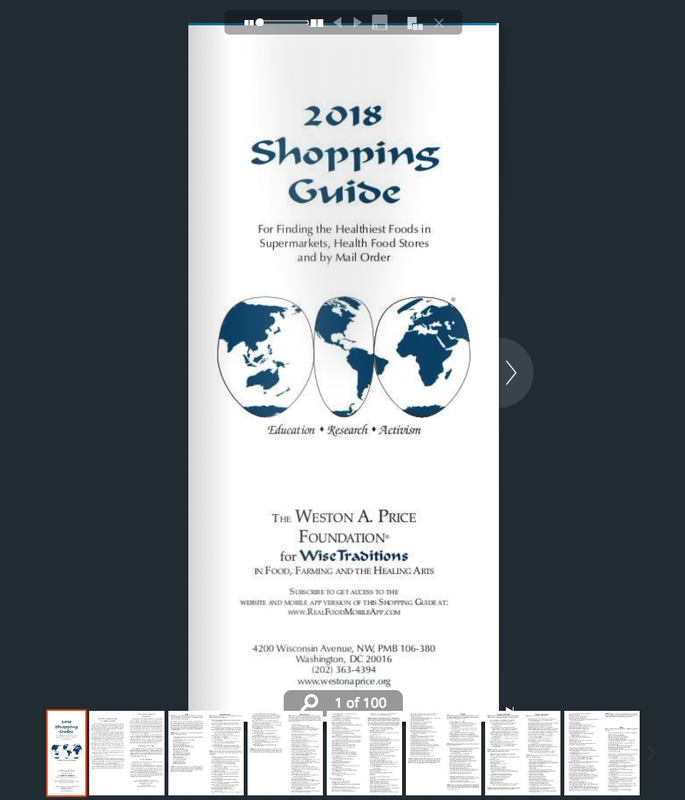 Such is the weight of this theme that she not only mentions it repeatedly throughout the book but also devotes an entire chapter to the topic of finding sources of high quality ingredients, including tips and questions to ask for those who are new to the issues involved in obtaining quality meats and vegetables. Mamane’s emphasis on quality even extends to her comments about water, salt and other often-overlooked cooking ingredients. Early in the book, Mamane mentions Sally Fallon Morell’s influence on the stock and broth movement. WAPFers will be glad to see that Mamane is one of many seeking to make Sally’s dream of a “brothal” in every town come true. If only we all could have one close by that featured the level of culinary skill coupled with ecological and farm care described in Mastering Stocks and Broths. A book of such immense size and scope is hard to review succinctly. As I mentioned, Mastering Stocks and Broths was my surprise read of 2017, one that turned duty into delight (and which will also continue to inform and improve our family’s approach to this aspect of traditional cooking). Even with my considerable knowledge about food and farming, I learned all sorts of useful things as I journeyed through Mastering. Two thumbs up!